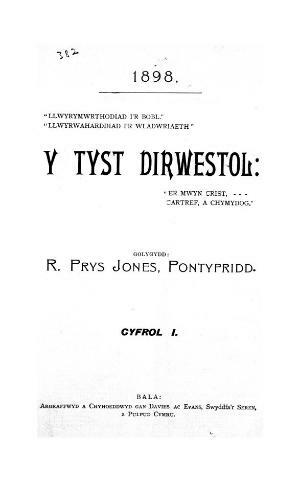 A monthly Welsh language temperance periodical intended for the Band of Hope and temperance societies and meetings. The periodical's main contents were articles on temperance, reports on the activities of temperance advocates, both at home and abroad, biographies and news from the North Wales Temperance Association. Amongst the periodical's editors were R. Prys-Jones, J. Ellis Jones, and the minister and social and educational reformer, Evan Kenffig Jones (1863-1950).